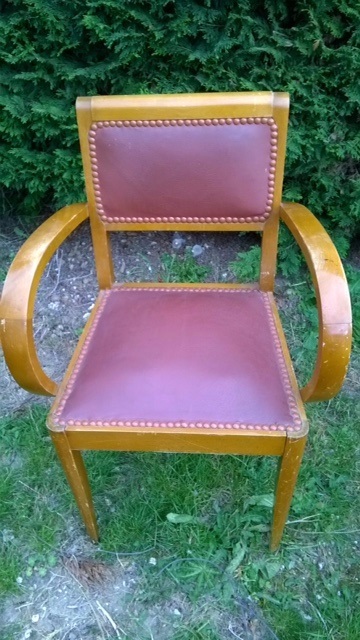 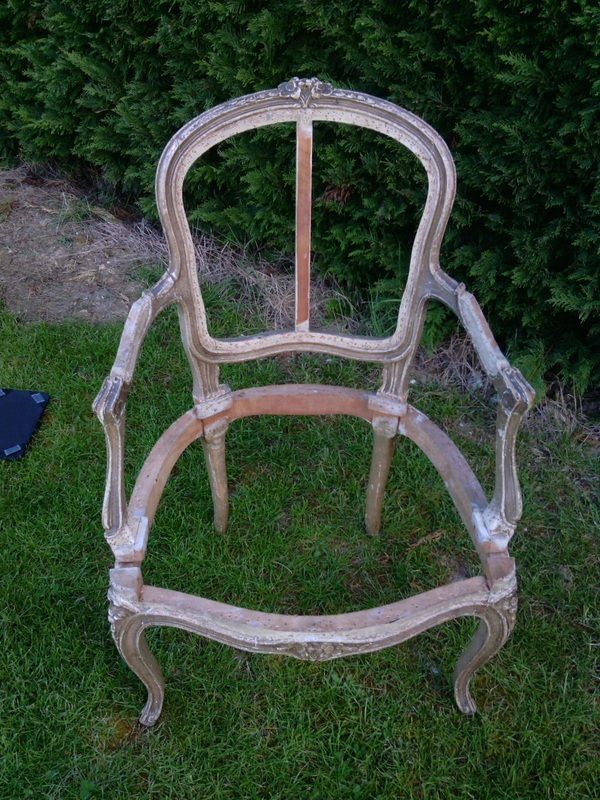 A mid 19th century French armchair LXV Style beech frame. 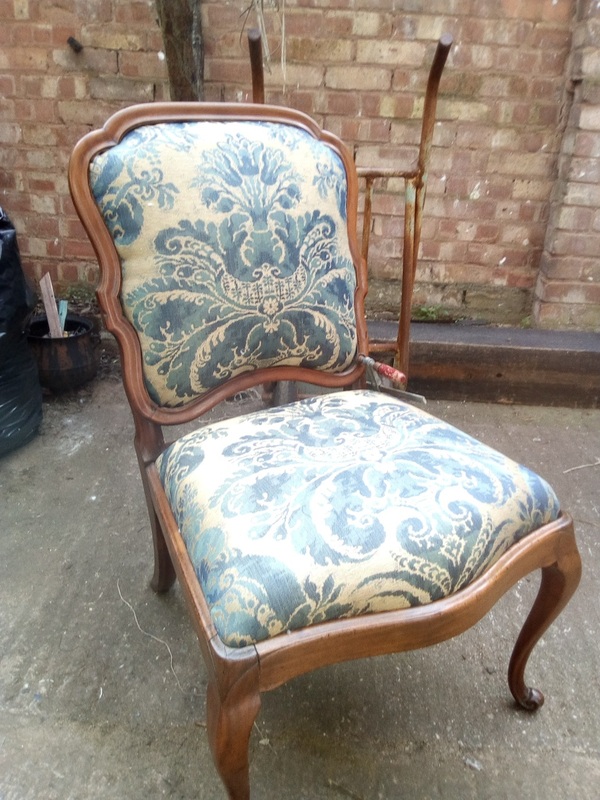 A Louis Phillip mahogany French armchair.circa 1890. 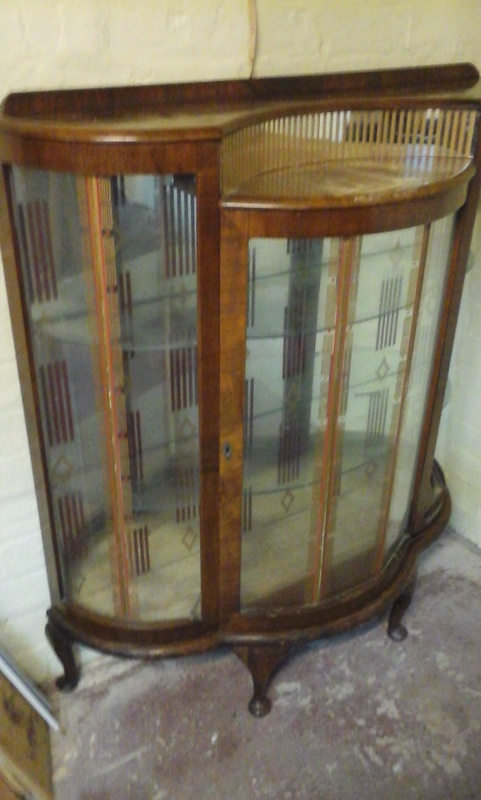 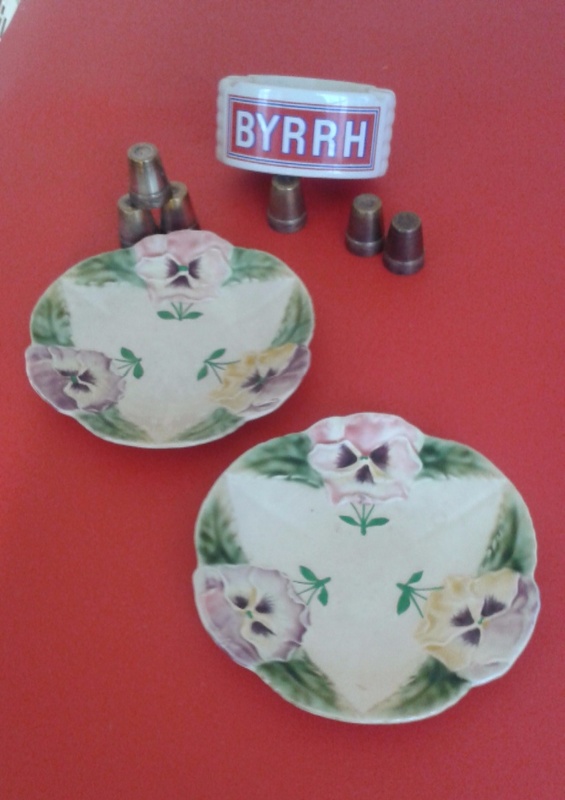 A 1950's glass cabinet in need of some restoration available for £65. 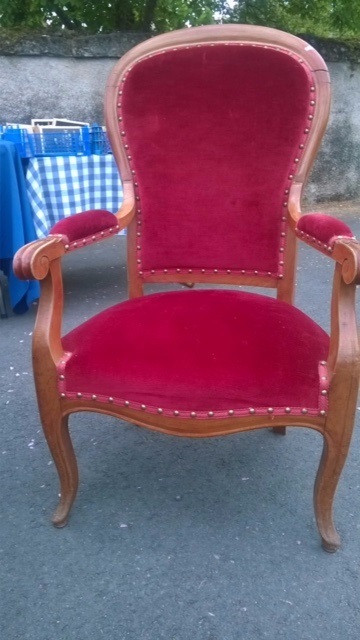 An unusual set of four "Art Novueau" mahogany dining chairs circa 1880 available for £380. 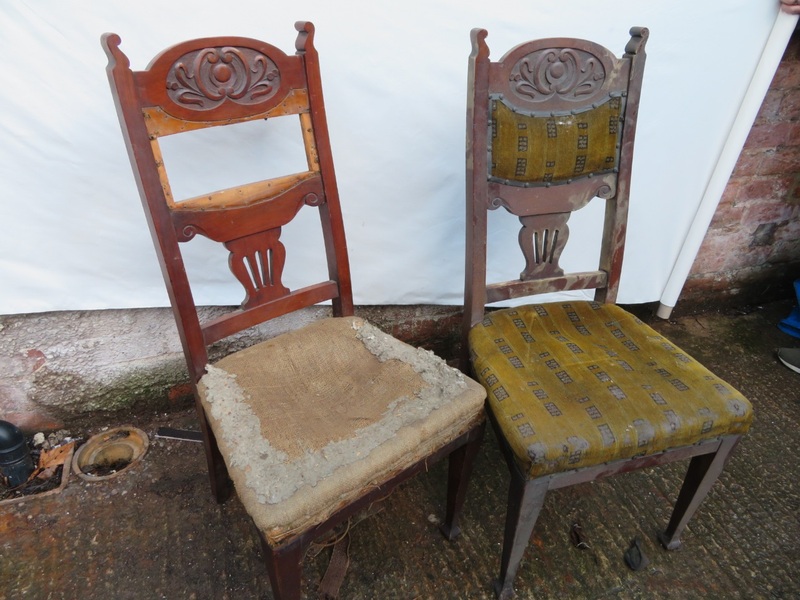 If you enroll NOW for a 30 session course of 3 hours a discount of 10% will be applied to the purchase of these chairs. 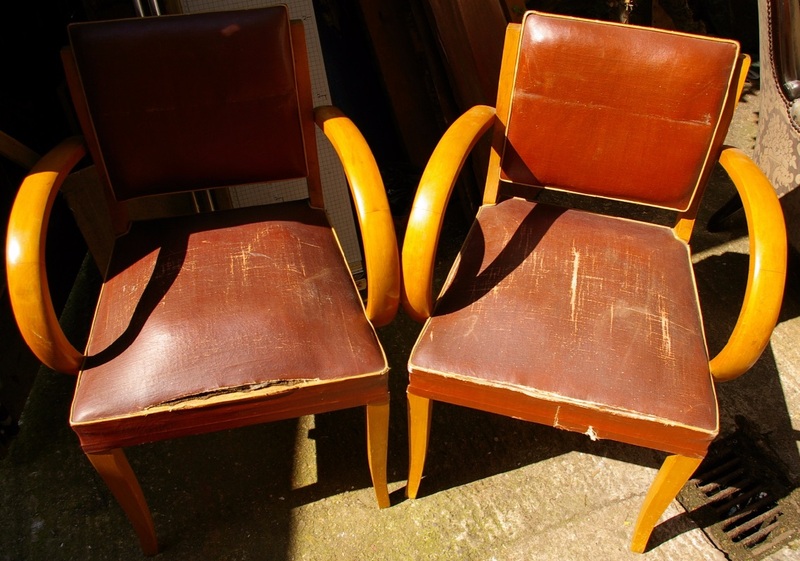 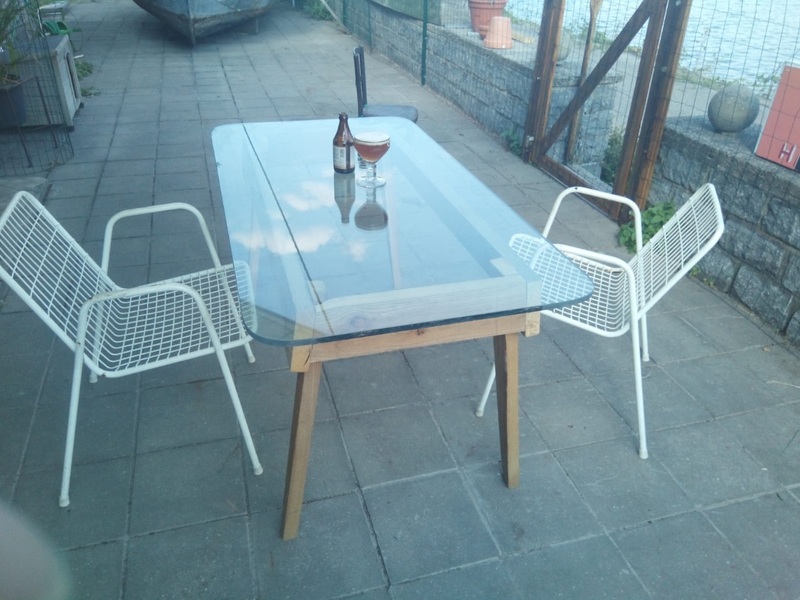 A set of four Teak legged chairs ripe for upcycling available at £90. 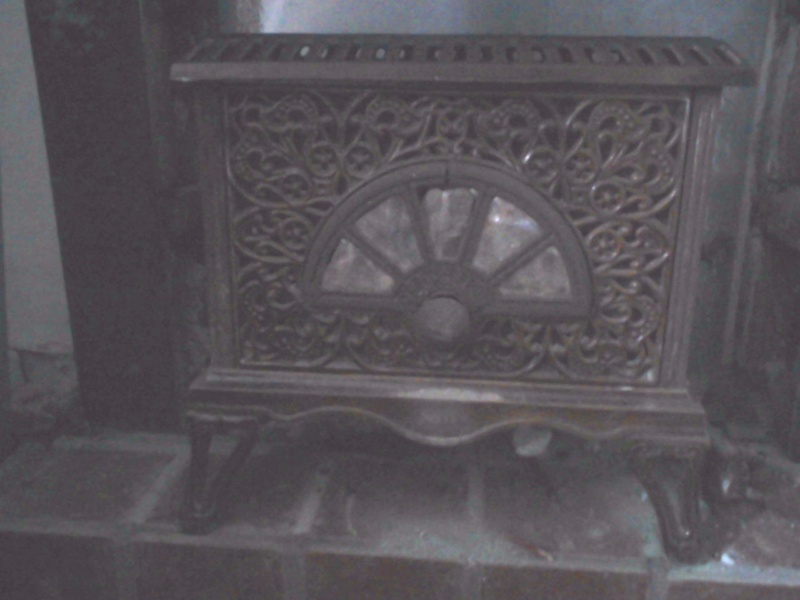 Turn of the century French Dantelle wood burning stove in need of some renovation available for £560. 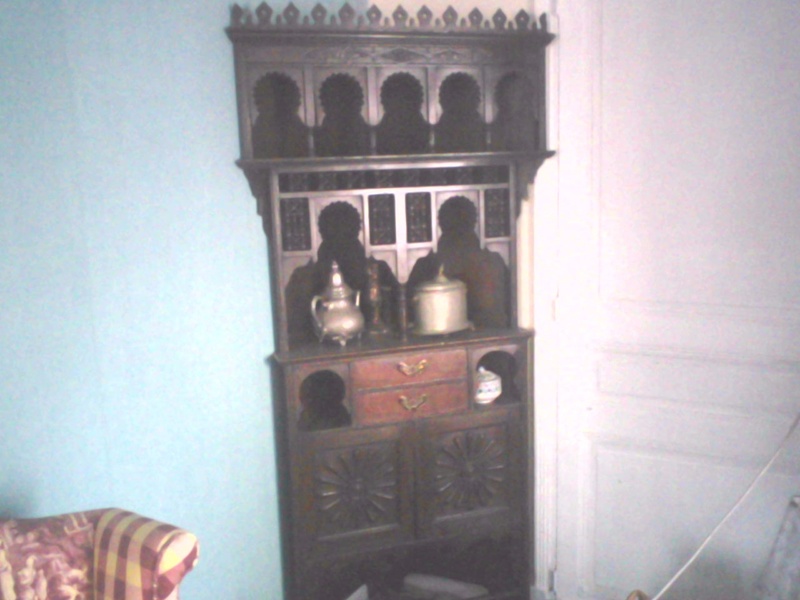 A arabesque corner unit circa 1890's made of oak with a mahogany patina available for £390. 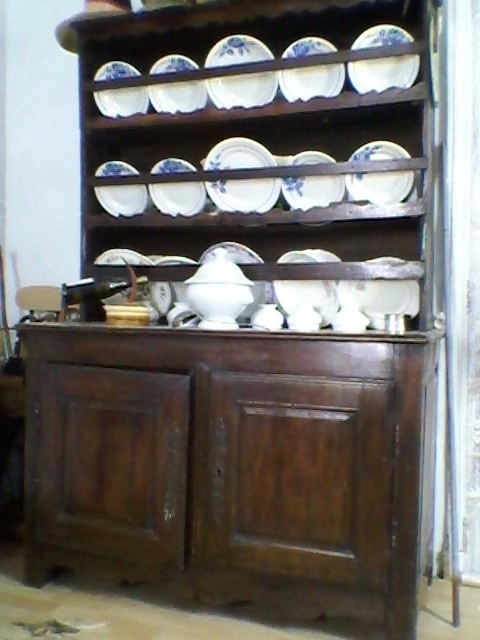 A French Dresser in solid oak stained with ox blood circa 1780 very good condition available for £900. 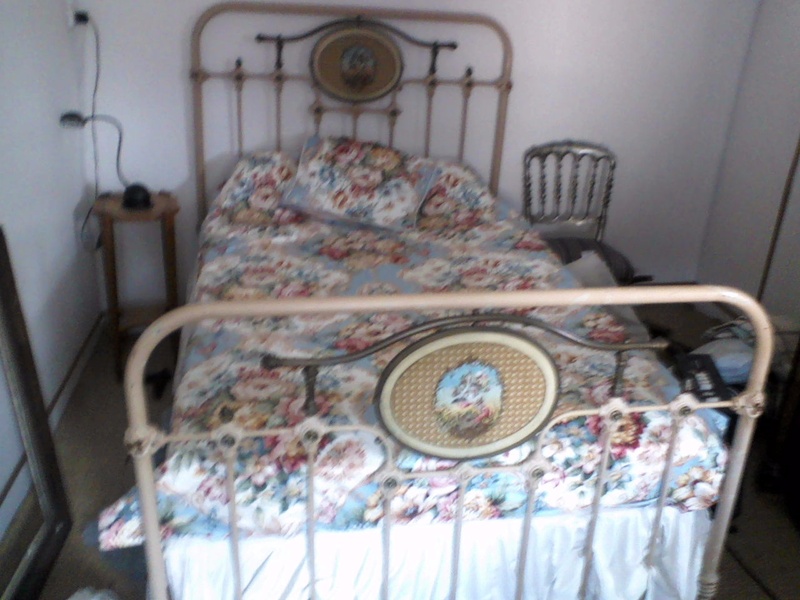 An enameled iron bedstead with centre panels of transferred cherubs with sprung base and mattress included (1 metre 20) available for £270. 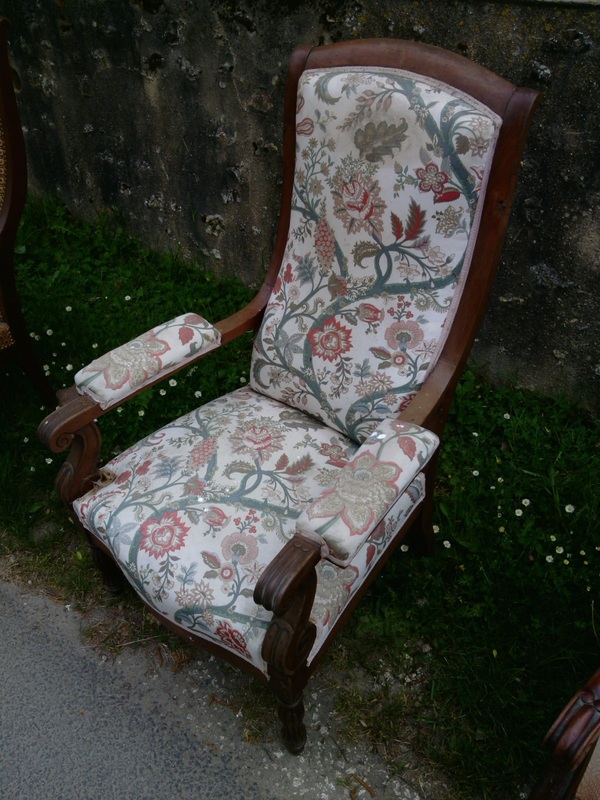 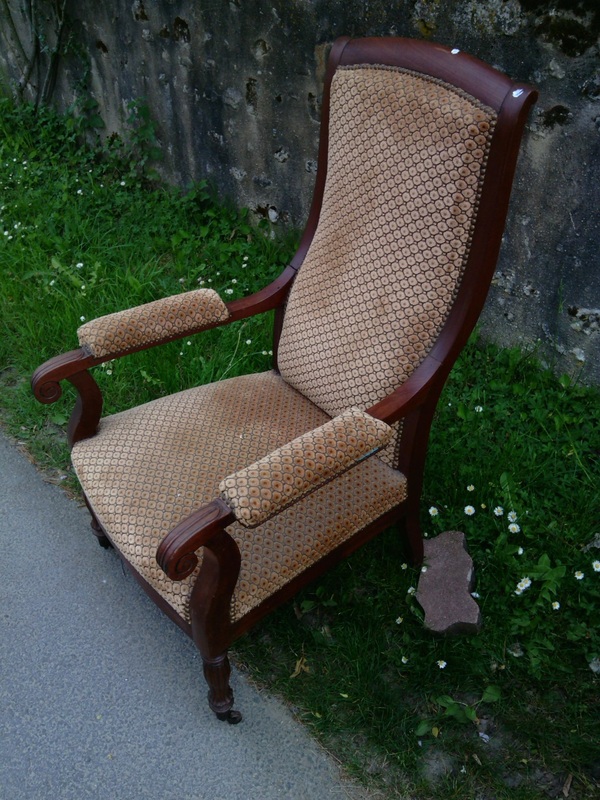 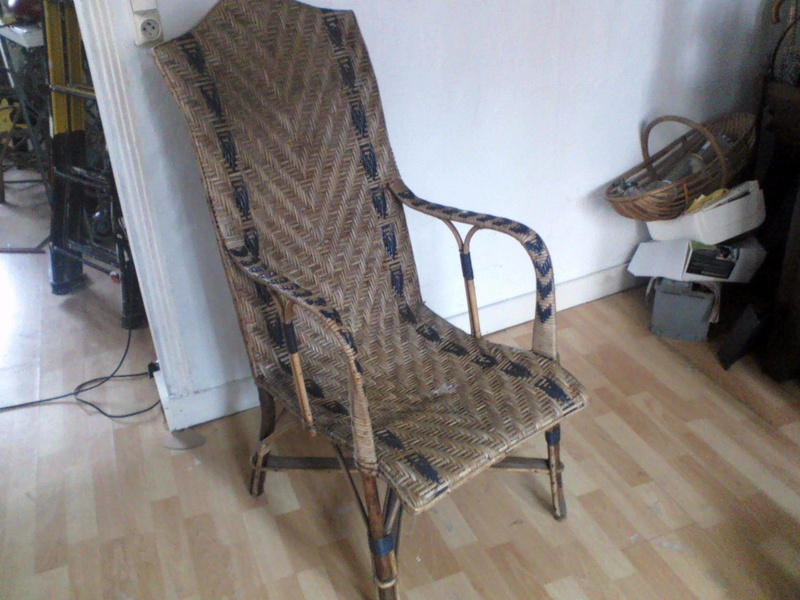 A turn of the century French garden armchair in perfect condition £180. 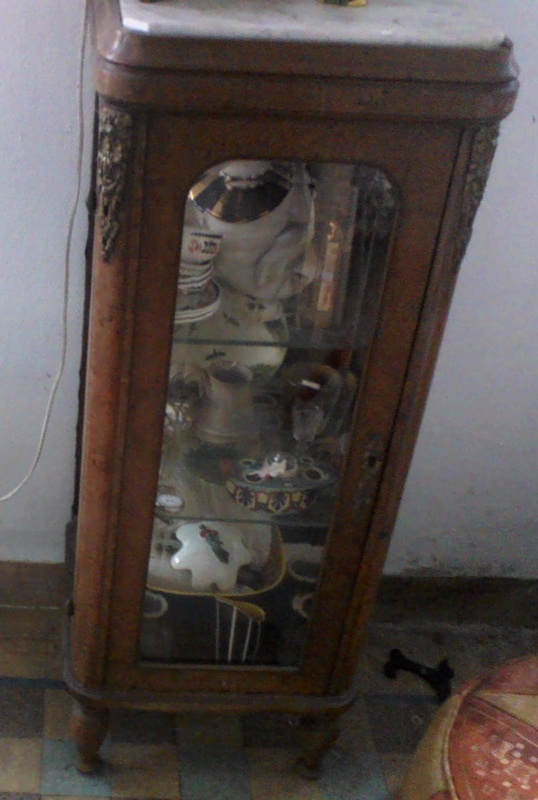 A vitrine with mirrored back and marble top and bronze decoration circa 1850/60 Napoleon I style available for £180. 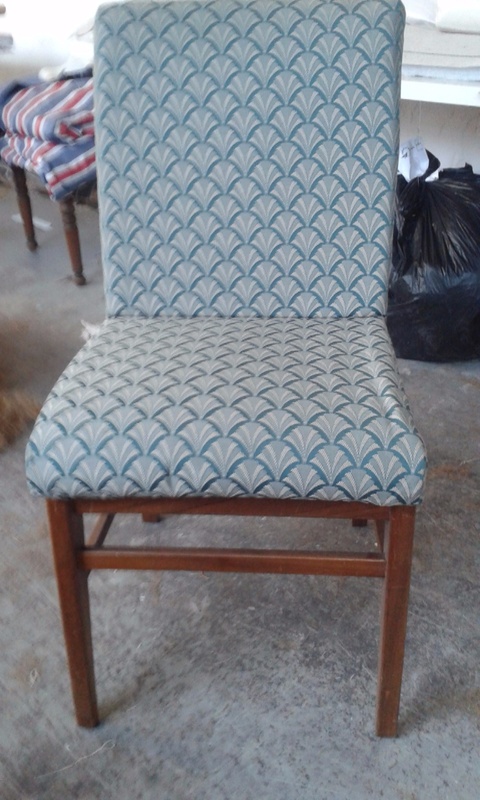 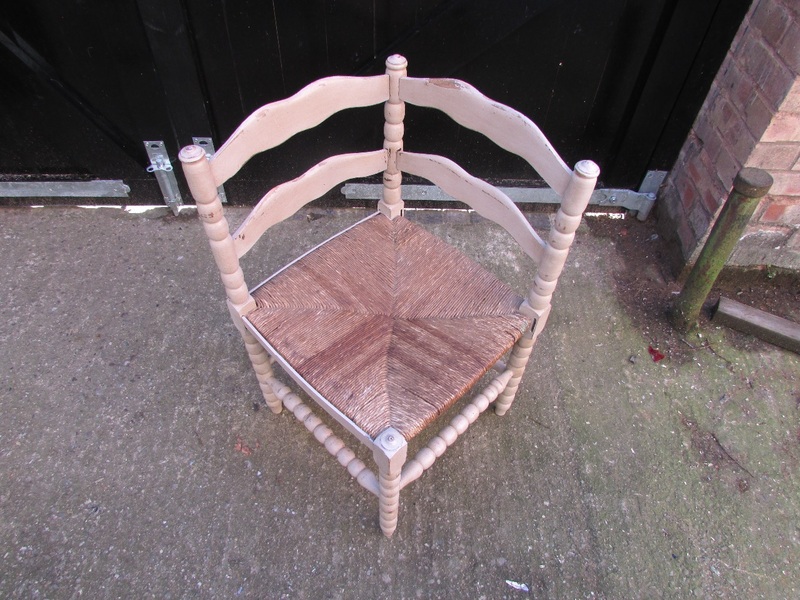 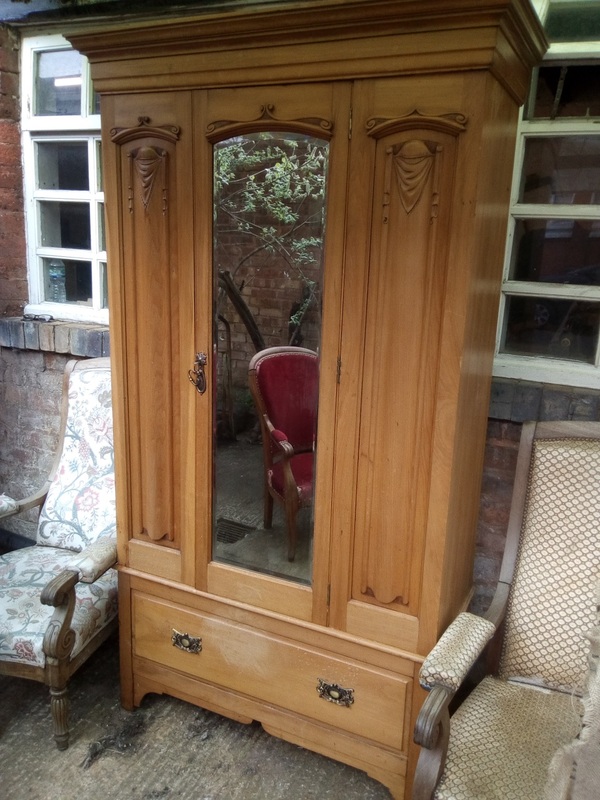 A handmade hardwood frame Knowle traditionally upholstered requires some attention available for £190. 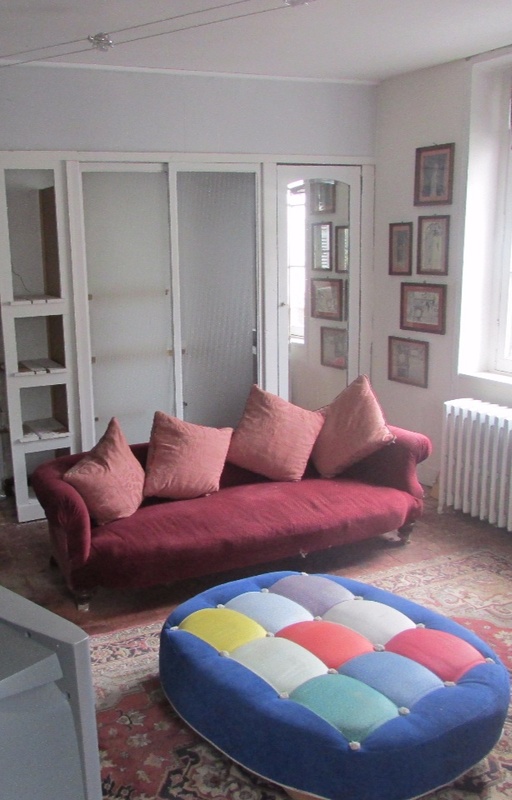 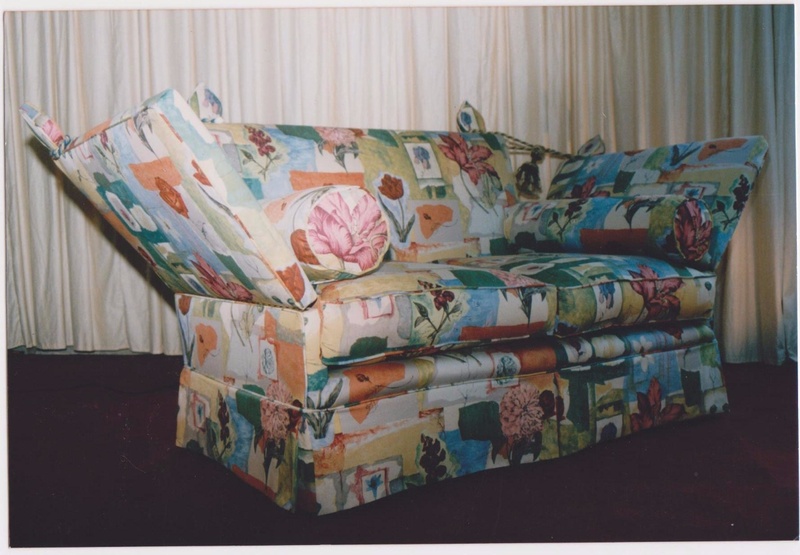 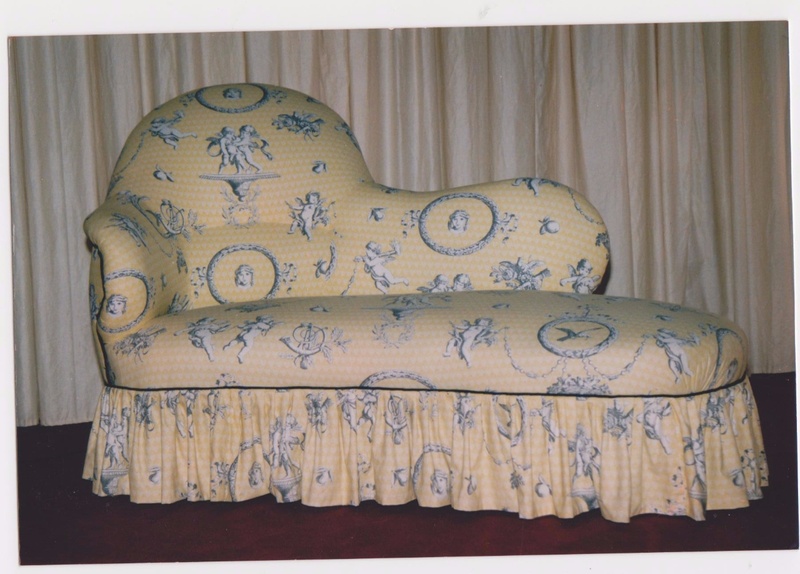 A modern chaise longue traditionally upholstered with a Beech frame available for £520. 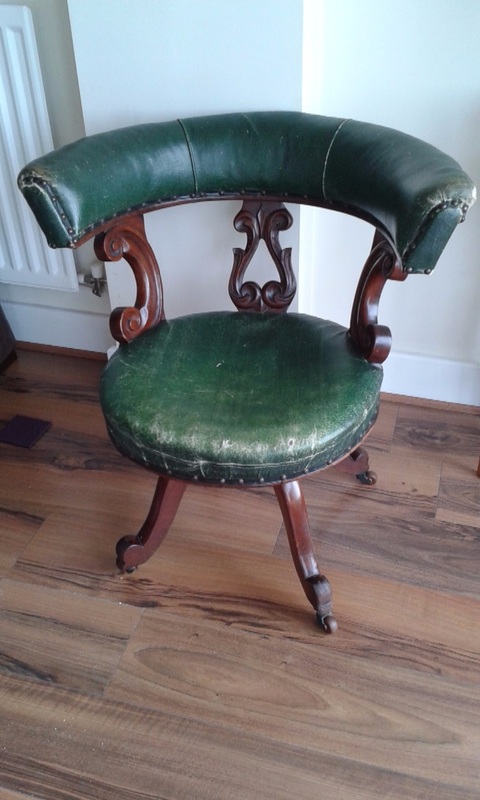 A 19th Century Ashe bow fronted frame chesterfield with Walnut feet requires complete reupholstering £190. 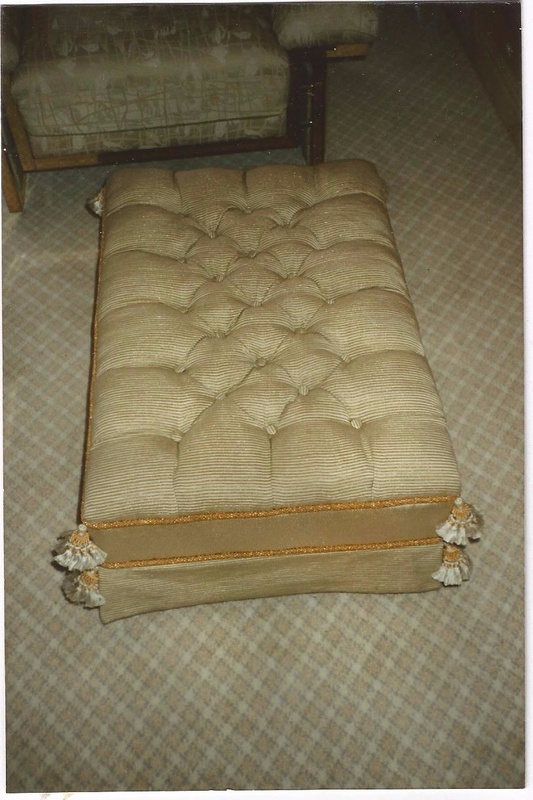 A handmande traditionally upholstered deep buttoned ottoman £230.